Great news Facebook pages users. 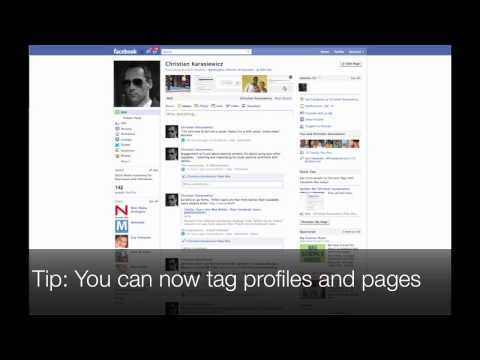 Just recently, Facebook updated Facebook pages – specifically, photo tagging as a Facebook page. What this means is more spam opportunities to expose your Facebook page through photos. In addition, retailers should jump at this chance to catch some positive publicity through social media. Image being able to tag your clothes from Banana Republic or that soda you’re holding from Coca-Cola. The possibilities are virtually endless. To help you get started with this new feature, I’ve put together a video on how to tag photos on your Facebook page. Not only can you tag pages, but also profiles (when your friends allow you to). To tag photos, you really only need these three steps. How else would you use photo tagging? Leave a comment.